The Fantastic Four have been saving the world from doom and destruction since 1961 and have taken form in four animated series as well as several film adaptations. The first movie was completed in 1994, however, it never made it to the cinema, but in 2005, 20th Century Fox released a Fantastic Four film starring stars such as Chris Evans and Jessica Alba. While this second film made enough money to warrant a sequel, it didn’t do well enough to complete the trilogy. Overall, Fantastic Four never seems to have had the same kind of success other Marvel superheroes enjoyed, despite being the publisher’s longest-running team. But with the latest adaptation being released this summer, things might just be a little different. The new reboot is supposed to take the franchise in a new direction and finally put the Fantastic Four up there with the other Marvel heroes. The Fantastic Four have had a hard time being taken seriously because so many aspects of it just don’t fit into our modern world anymore. Director Josh Trank said: “I told [Stan Lee] why I wanted to do the Fantastic Four and he just genuinely loved the idea that somebody would be taking the Fantastic Four seriously like that and putting them into a modern space.” In order to be taken seriously, Trank wanted to avoid the comedic route and instead chose dramatic actors, who would be able to add a certain grittiness to the film. Screen Rant states that Trank has been very inspired by Marvel’s The Ultimates, which is the Ultimate Marvel Comics version of The Avengers. This means that compared to the comics and to the previous movies, the new team will be younger and there’ll even be a different team dynamic between them. Some of the notable actors we can look forward to seeing on the big screen are Jamie Bell (The Thing) and Miles Teller (Mr. Fantastic). Bell is known for his role as the ballet dancer Billy Elliot while Miles Teller has had lead roles in critically acclaimed movies such as The Spectacular Now (2013) and Whiplash (2014). The villain will be played by Yorkshireman Toby Kebbell, who has had successes with Dawn of the Planet of the Apes (2014), Wrath of the Titans (2012), and RocknRolla (2008) - so we can be sure that he’s had plenty of experience with gritty films. It’s not only the cast that’s new and promising. Director Josh Trank is also relatively new to feature films. His first one was Chronicle (2007), which was released when he was only 27 years old. This made him one of the youngest directors to open a film at number one at the US box office. If you wish to see which Fantastic Four member you would be then you can take a quiz here to find out. 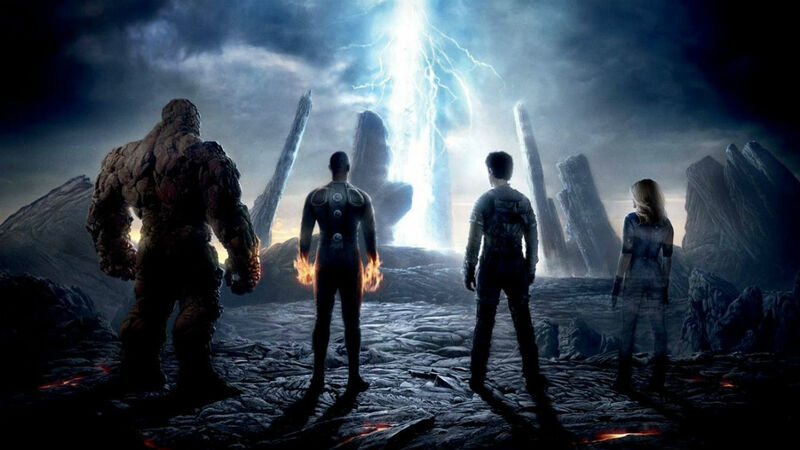 Fantastic Four will be released in UK cinemas 6 August 2015. When compared to the previous adaptations, movie-goers can expect a much more “grounded” science fiction adventure. So far all Marvel superhero movies have been very successful and Fantastic Four is likely to acquire a strong fanbase. Animal welfare documentary 'The Last Pig' comes To London!